Microgaming enters into a long-term relationship with bingo software specialists Broadway Gaming to bring Dotty, Butlers and Glossy Bingo bang up to date but first…. Yggdrasil Gaming has revealed that it has entered into a gaming content agreement with online gambling giant William Hill. In terms of the deal, William Hill will integrate Yggdrasil Gaming’s vast suite of slots, with the operator directly integrating slot games that include popular titles such as Joker Millions, Vikings Go Bezerk and Big Box together with the developer’s in-game promotional tools BOOST and social sharing tool, BRAG to the online gambling giant’s online casino operations. Chief Executive Officer at Yggdrasil Gaming, Fredrik Elmqvist, commented that William Hill is one of the most respected names in gaming (We might think otherwise – Doolally’s Ed.) and it is obviously an achievement to add such a trusted and successful tier 1 operator to their rank. He also said that since gaining their Gibraltar license a few months ago they have secured several major operators, and working with the very best in the industry is driving them forward and keeping them at the very top of their games. 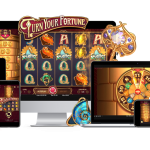 WinADay Casino has given their site a complete makeover which now enhances player experience and has been designed to load much faster for mobile devices and enhance player experience. 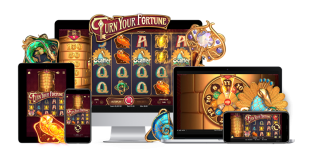 The games at the site are easier to find with large thumb-tails on the screen while the site also offers an improved interface for use on smart-phones and tablets and games easy to control through a touch-screen. Michael Hilary, the Manager at WinADay Casino, commented that this upgrade has made a huge improvement to how the games can be played on mobile devices. He also said that with bigger buttons and graphics the games are easier to tap, swipe and spin. WinADay is celebrating the upgrade by giving members a $15 free chip on mobile slots. Players must use the code 15FREEBIE on their mobile devices between now and Sunday, 5th January 2017 in order to avail themselves of the free chips. LeoVegas Casino is celebrating its 5th year anniversary by running several great promotions at the site and launching a custom-made Instant Win game titled ‘Be the King’ that could see players winning up to €1 million. LeoVegas is making certain that players at the site enjoy their 5th birthday party by giving away thousands of Free Spins as well as an amount of £5,000 every day between now and Friday, 24th February 2017. In order to enter the daily draws players can choose to play on a selection of the online casino’s weekly favorites, visit the live online casino or place a bet in their Sportsbook. The online casino is also giving away iPhone 7s and cash prizes and players are advised to visit LeoVegas Casino at their earliest opportunity to check out the various promotions and terms and conditions thereof. Microgaming has revealed that it has entered into a long-term extension to its existing exclusive bingo software agreement with Broadway Gaming. Since the launch of its flagship brand, Butlers Bingo, in 2010, Broadway Gaming has expanded enormously and now offers six gaming sites, namely Glossy Bingo, Dotty Bingo, Casino of Dreams, Butlers Bingo, Rehab Bingo and Bingo Diamond that are all powered by software from Microgaming. 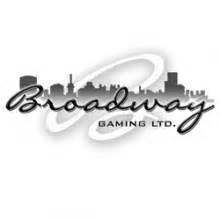 David Butler, CEO of Broadway Gaming, said that they are looking forward to working with Microgaming long into the future. 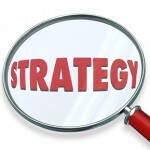 He added that 2017 is set to be their biggest and best year yet and they expect unprecedented levels of growth thanks to several key initiatives scheduled throughout the year. You’ll find reviews of Broadway’s Dotty, Butlers and Glossy Bingo sites in our bingo section.